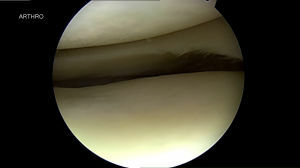 Confusion in describing meniscal tears in the knee commonly arises because there are two kinds of cartilage in the knee. Footballers tear their “cartilages” commonly. This is properly termed a meniscal tear since these cartilages are like little shock absorbers between the thigh and shin bone. They each form a horseshoe, one on the inner side and one on the outer side of the knee between the femur and the tibia which makes the flat top surface of the tibia into a bit of a socket to take the curved bottom end of the femur. The meniscus looks a bit like an incomplete tap washer or gasket. The cartilages work by redistributing the forces by making the bottom end of the femur fit better i.e. be more congruent with the shape of the top end of tibia. The meniscus (cartilage) is very most commonly torn, either in twisting injuries in young people or commonly in older individuals in their thirties or forties without any trauma. 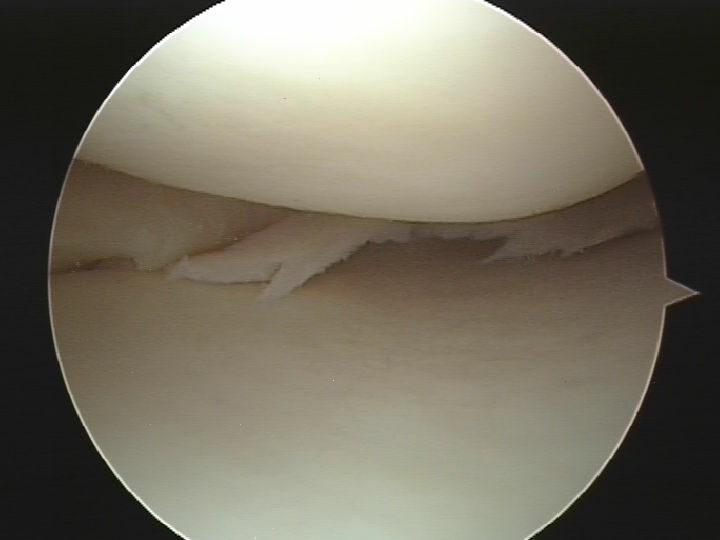 This is because the cartilage get a little bit brittle and degenerate as we get older and small splits will often occur and not declare themselves until the piece of gristle moves out of place and gets caught leading to the pain. This needs operation to either repair it or remove the torn piece.